Meanwhile, Sudin Dhavalikar accused the Bharatiya Janata Party (BJP) of robbing MGP at midnight. It must be noted that CM Sawant will take over the Transport and Public Works portfolios held by Dhavalikar. Panaji: Goa Chief Minister Pramod Sawant on Wednesday dropped deputy CM and Maharashtrawadi Gomantak Party (MGP) leader Sudin Dhavalikar from the state Cabinet. In a communication addressed to Governor Mridula Sinha, Sawant said, “I have dropped Sudin Dhavalikar from the Cabinet. The decision on filling up the vacant seat will be taken very soon.” It must be noted that CM Sawant will take over the Transport and Public Works portfolios held by Dhavalikar. Reacting to the development, Dhavalikar accused the Bharatiya Janata Party (BJP) of robbing the MGP at midnight. “The MGP is a party of the people. At night, the chowkidars who have committed dacoity on MGP have shocked the people of Goa. People of Goa are watching this. People will decide on the course of action,” he said while speaking to a leading daily. 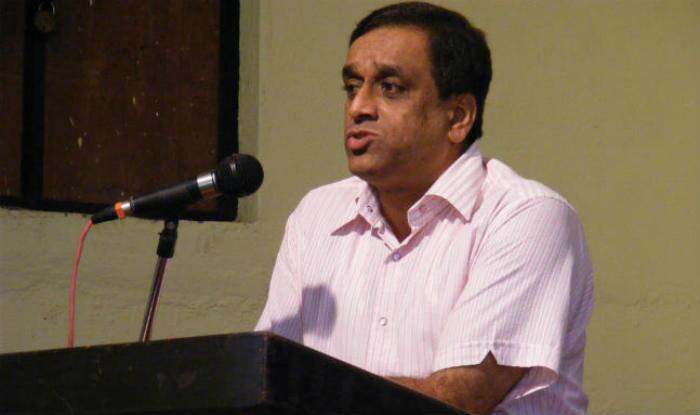 MGP president Dipak Dhavalikar had claimed that his party was the target of a conspiracy by opponents, on Tuesday. “Any attempt to disturb our MLAs will be viewed seriously and we won’t mind pulling out of the government,” the MGP chief had said earlier. The BJP now has the strength of 14 legislators in the house with two MGP MLAs joining the party– and is now equal to the Congress. The bypolls will be held for three Assembly seats on April 23.